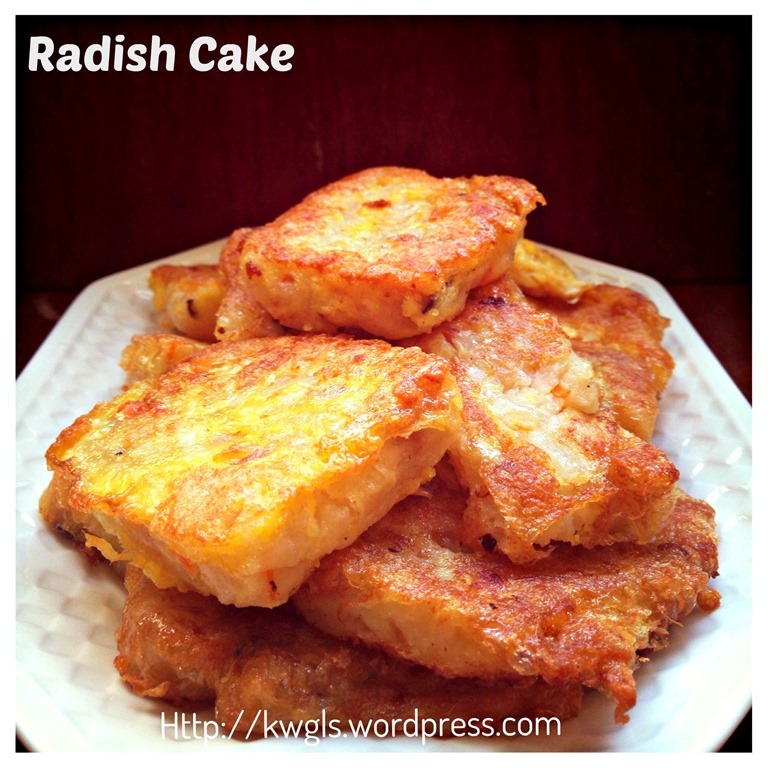 Today, I have prepared some radish cake but the simpler hawker version. 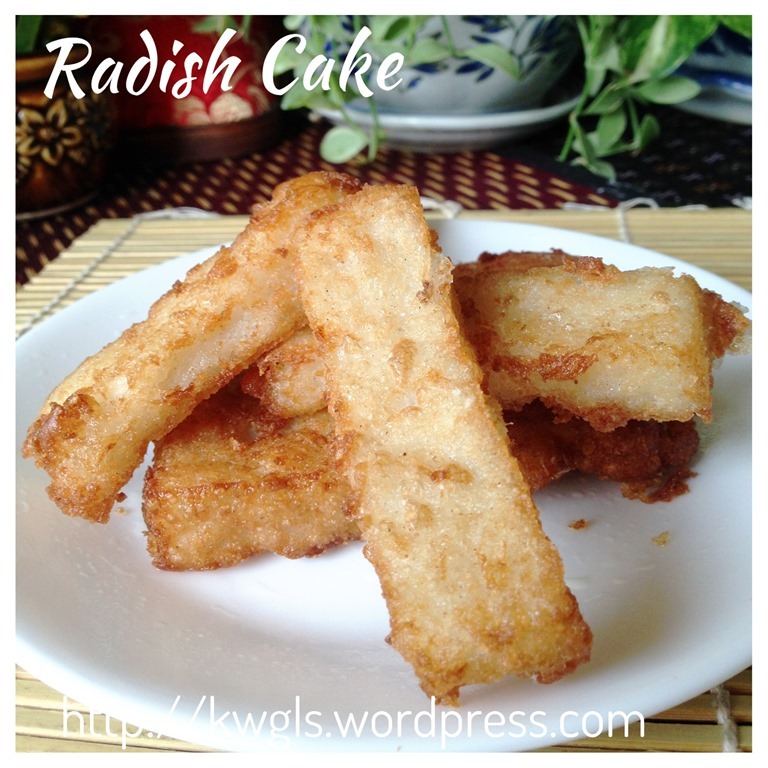 As we all know, hawker version radish cake will not have anything fanciful… Just very simple radish, flour and seasoning.. I believed that is the most basic of this cake. There is no changes in the recipe.. Just ignore the meat portion and proceed the batter portion. Steam and deep fry or air fry. 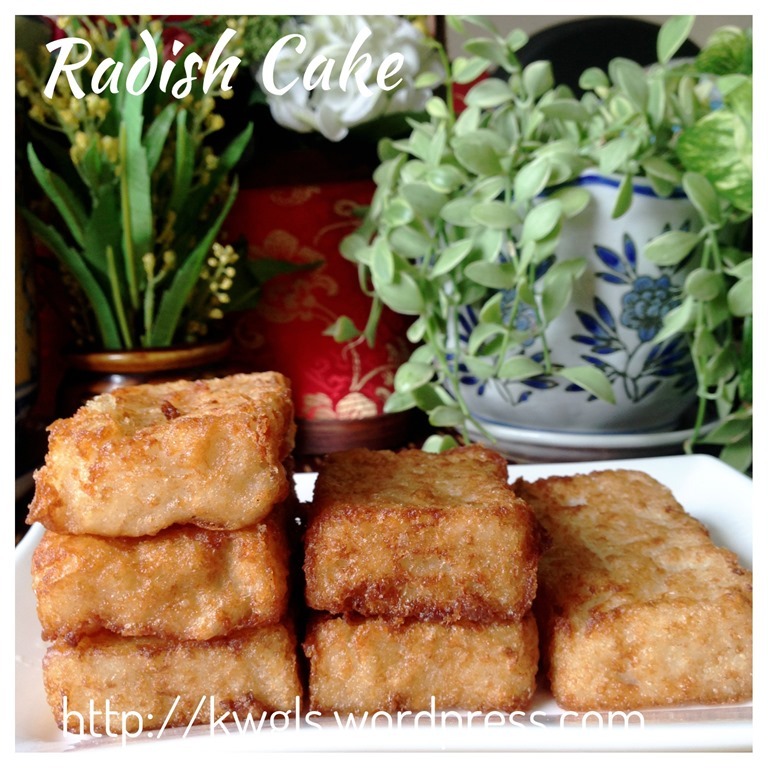 Some families in Singapore and Malaysia do prepare this snack during Chinese New Year and is considered as it is considered as an auspicious dish. I should have prepared this earlier, during the Chinese New Year period, but I have hold it until today because my house is full of “foods” from Chinese New Year festival. However, I believed that it is better to be late than never. 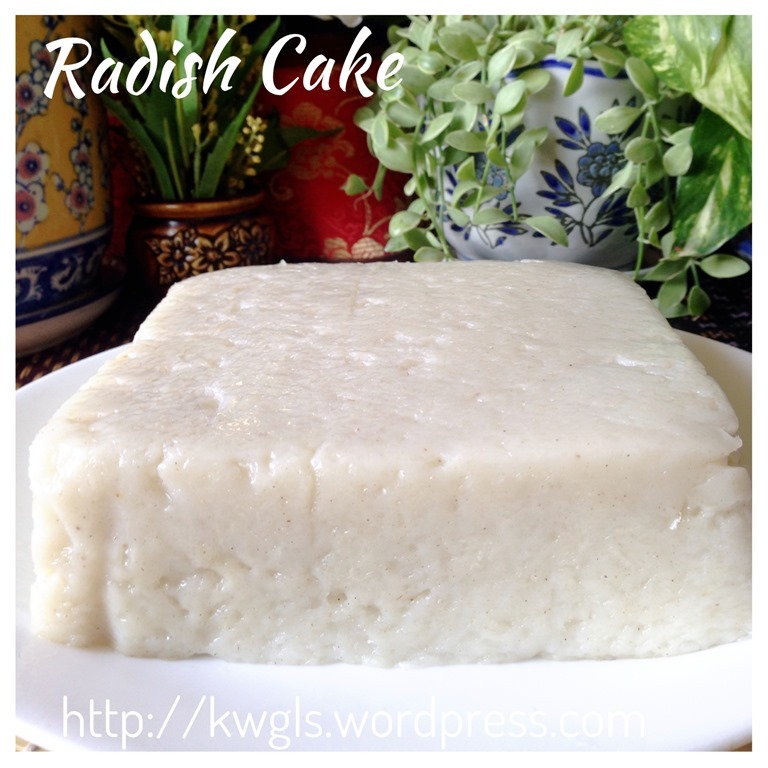 Radish cake is not a difficult cake to prepare. In fact, it is very easy as you shall read in the instructions. 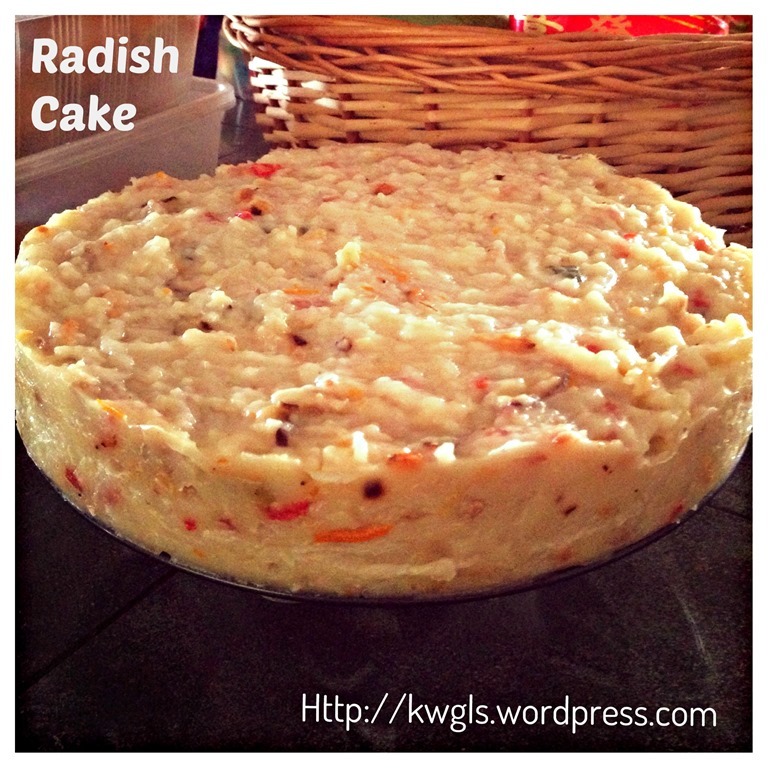 As inferred from its name, the main ingredient is radish (or colloquially know as white carrot). 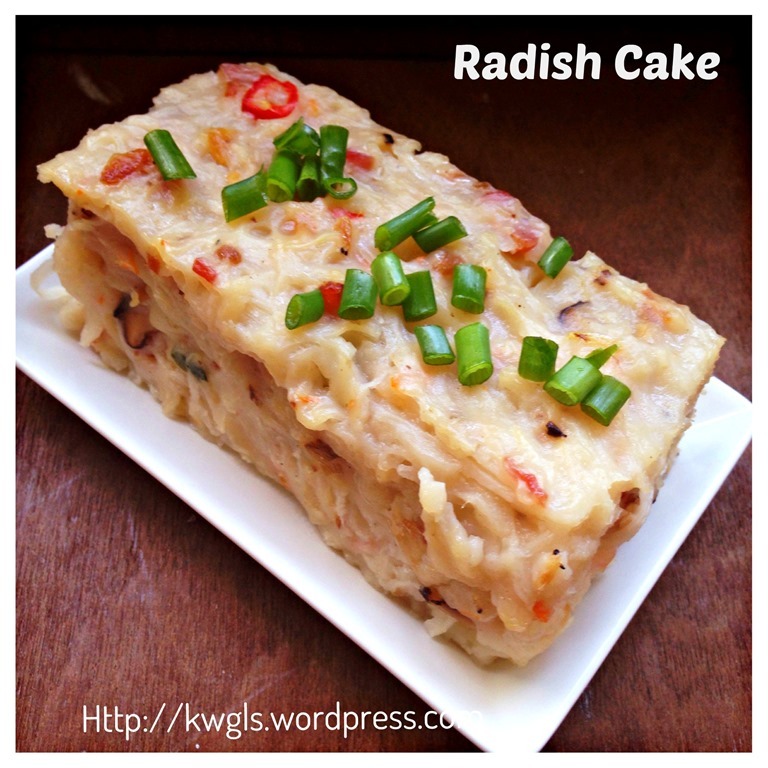 It is also called turnip cake. 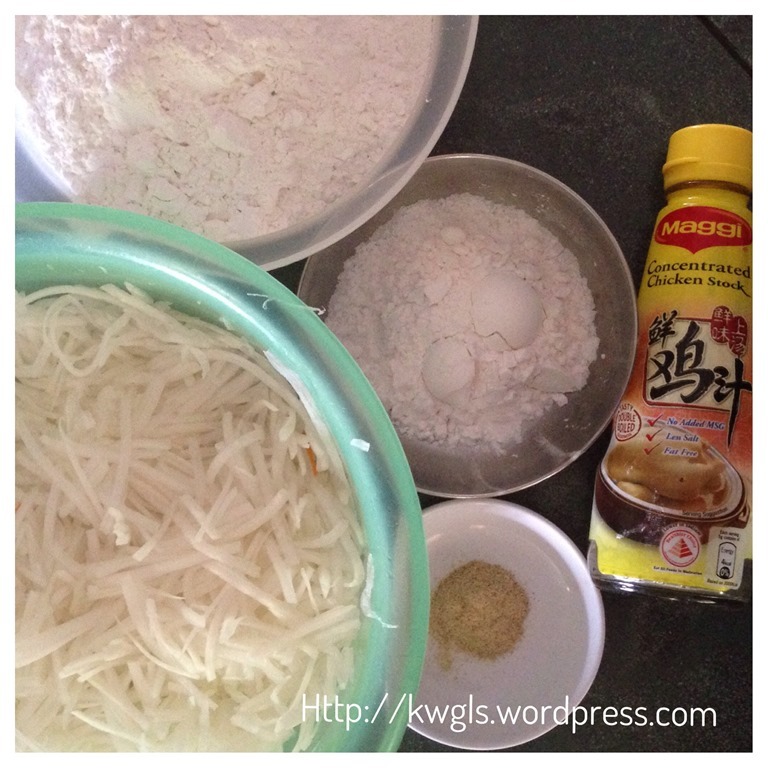 Rice flour is added to bind the ingredients together. 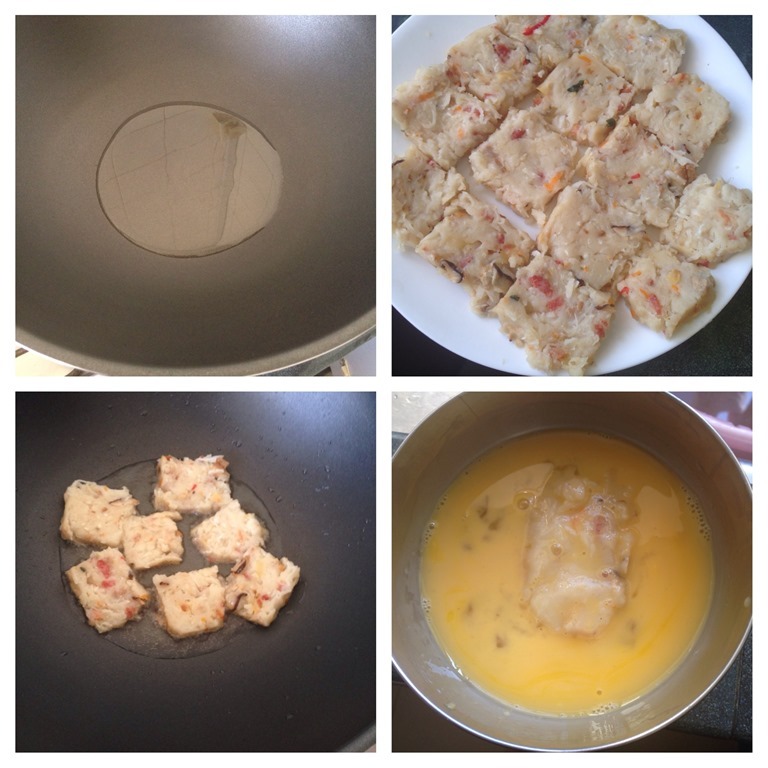 In order to have a better binding, a small quantity of corn starch or 澄粉 are added. 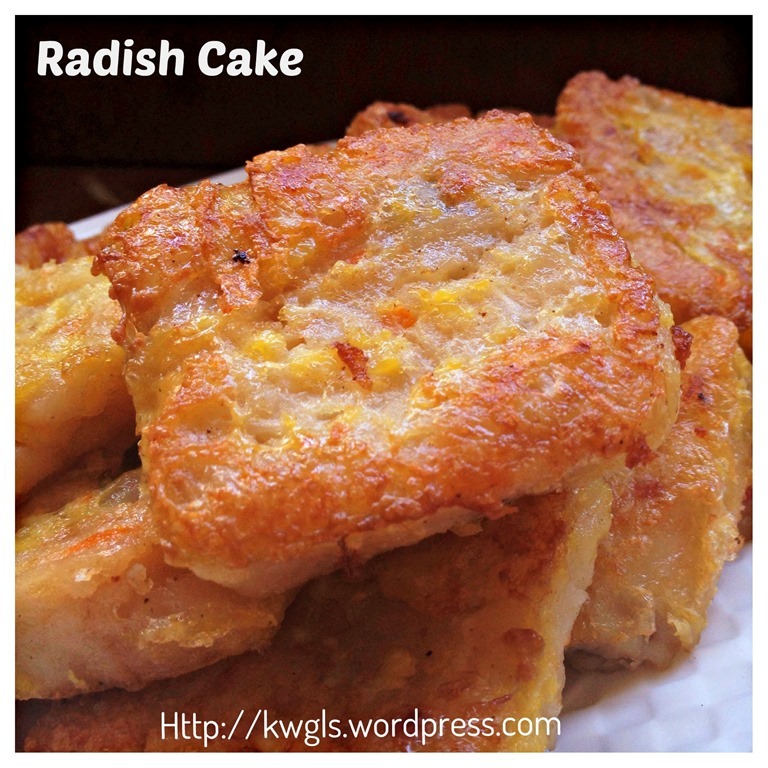 There are many types of radish cakes and this post is sharing a Hong Kong version of radish cake, the type of radish cake that have minced meat, Chinese sausages, mushrooms, dry shrimps and etc. 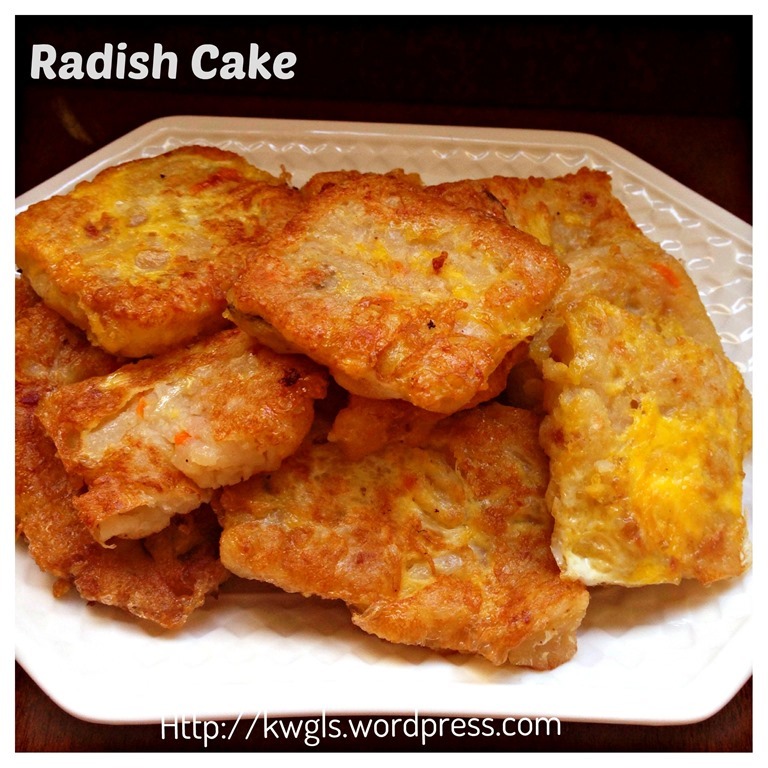 Unlike the Singaporean and Malaysian version of radish cake, the radish cake in Singapore and Malaysia are mostly plain (with only radish and flour) and usually served by stir frying with dried radish (菜脯 or cai poh), eggs and spring onions. 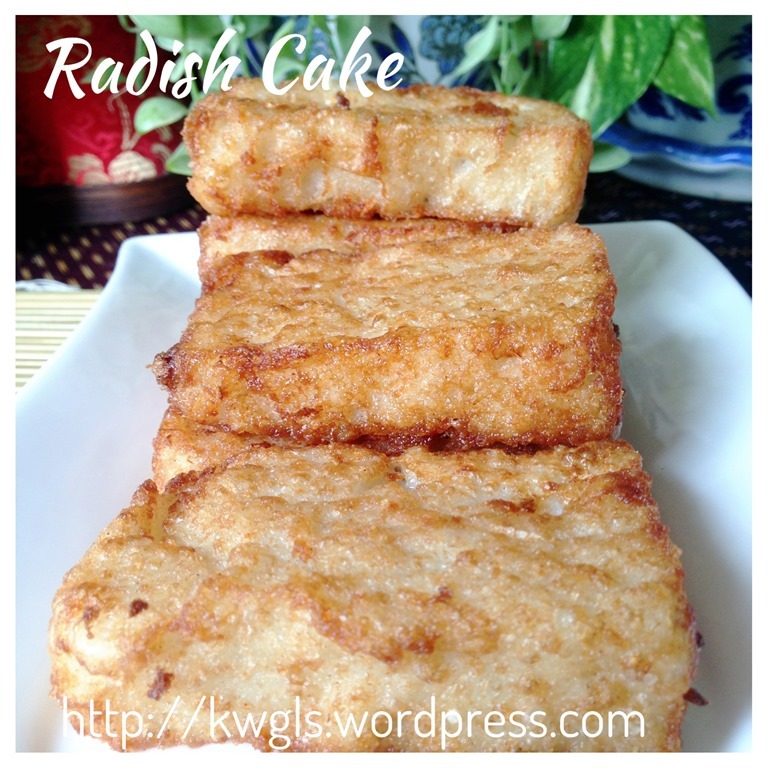 Another type of serving is to stir fry the plain radish cake with black sweet dark soya sauce and dried radish. 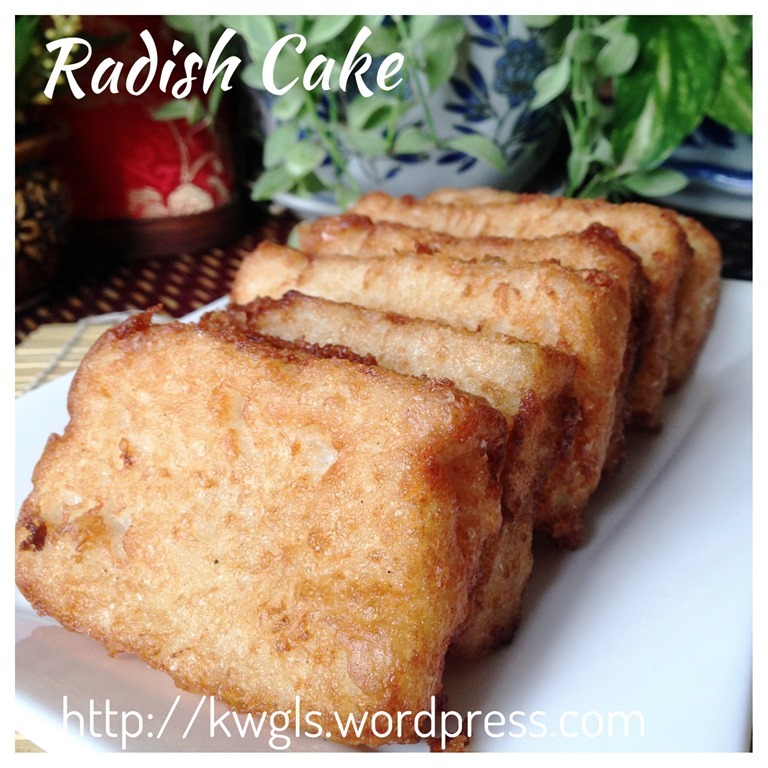 This radish cake is flavourful. It is considered as a complete cake after steaming. However, in order to make it more aromatic, at times, the cake was cut into thin slices, coat with eggs and shallow fry before servings. For this illustration, since a lot of families have a lot of pork jerky left (bak kwa) from the Chinese New Year festivals, I have replaced half of the Chinese sausages quantity with the Chinese pork jerky. The taste is equally delicious. 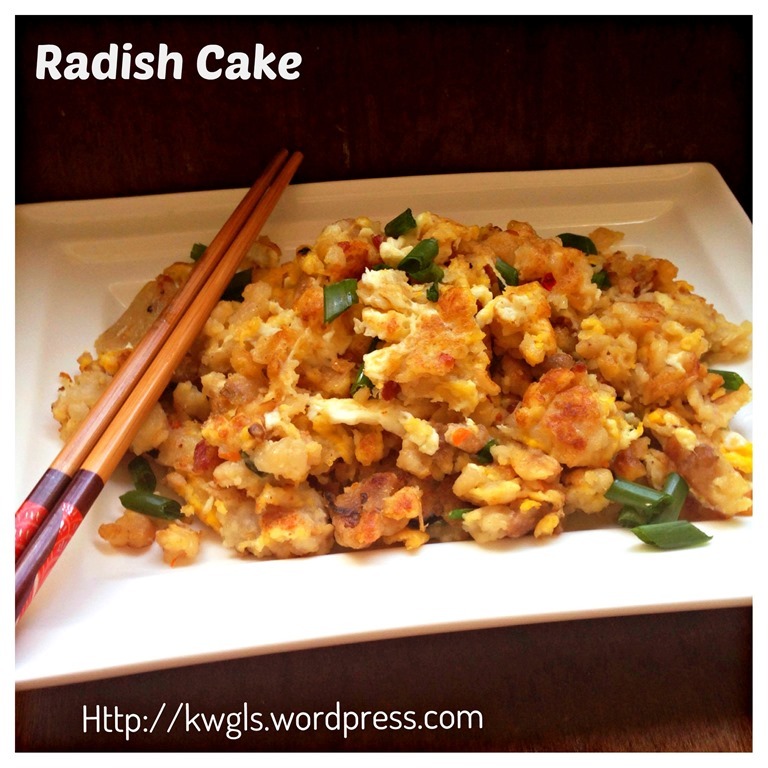 I have also coated the radish cakes with eggs and also stir fry in a way that was commonly sold in the Singaporean and Malaysian hawker centre. * Optional. For Chinese sausage and pork jerky, it is substitutable. Pour the water into a big mixing bowl. Add chicken stock or chicken cubes. I have used one tablespoon of liquid chicken stock and another one cube of solid chicken stock.. Stir until dissolved. Set aside. In another big bowl, put rice flour, corn starch and 1 teaspoon of white pepper. Make a well in the centre. Pour the chicken stock into the flour, stir using a hand whisk until well mixed. Set aside. Lightly greased your preferred tin for steaming. As an extra precaution, I have put a piece of baking paper to facilitate unmoulding. 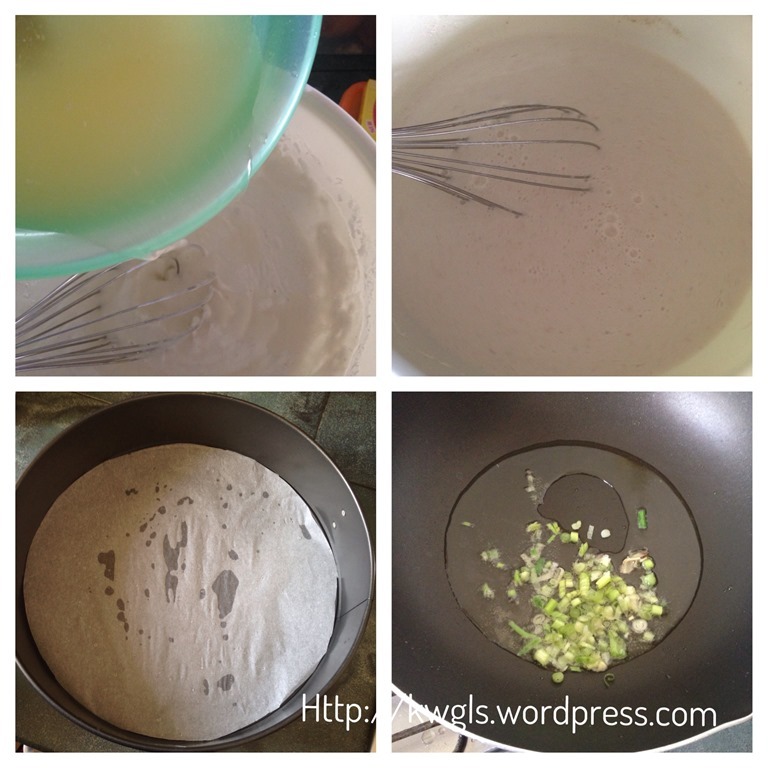 In a frying pan, sauté the white portion of spring onion until fragrant. 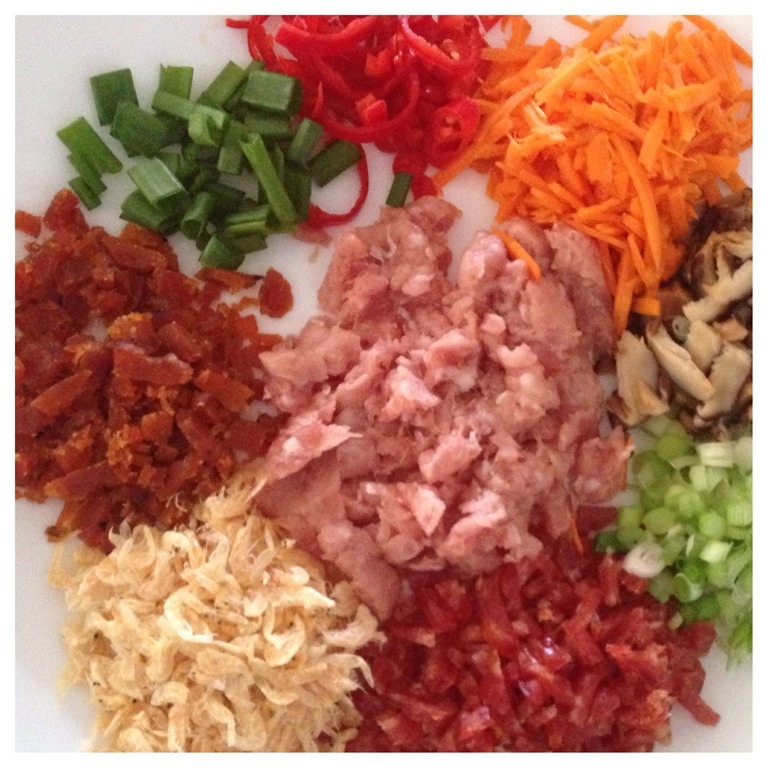 Add in the ingredients in this order : white pepper, mushrooms, baby shrimps/pounded dried shrimps, minced meat, red carrot. 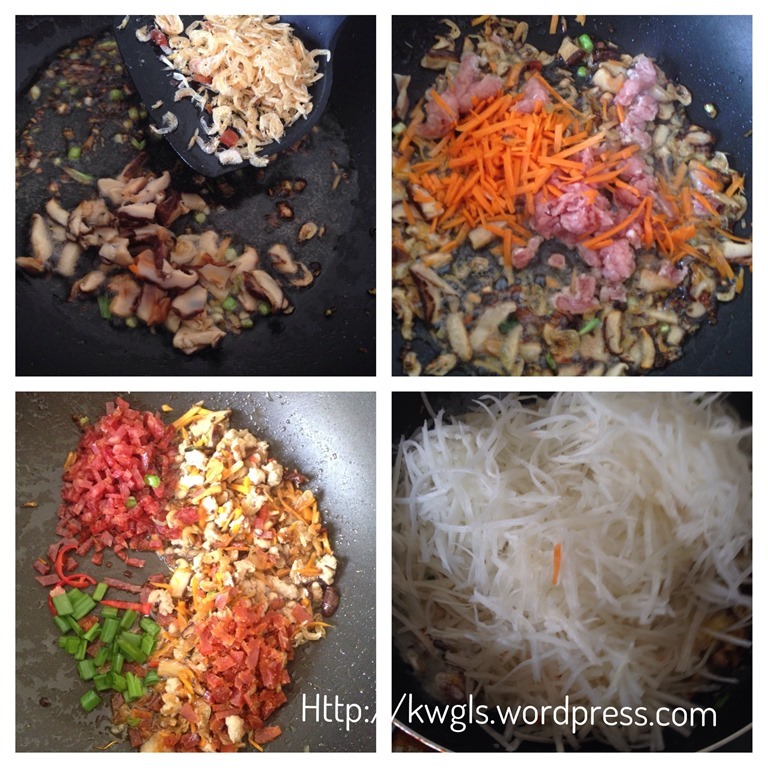 Stir fry until fragrant. Add in the julienned radish. Stir fry until well mixed. Add in the rice flour solution prepared earlier. Stir fry until well combined and the rice solution starts to thicken. 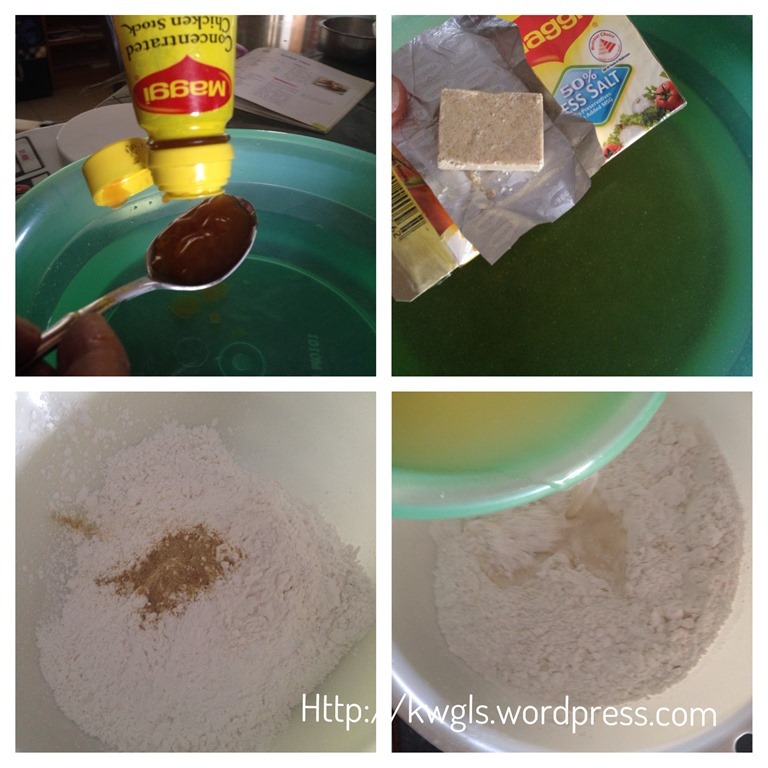 It is considered as ready when you can put a spoon upright in the centre of the mixture. Be extra careful as the thickening of rice flour can be rather fast. Transfer the half cooked batter to the steaming tin. Press it as compact as possible and avoid trapping of air. Steam in a steamer for at least 45 minutes to one hour or when a skewer inserter into the steamed cake comes out cleaned. The batter will solidify when fully cooked though it can be still soft in the centre. Let it cooled completely before cutting into small pieces. It may not be easy to cut as the middle may still a bit soft. Therefore, it is best to leave it overnight in the fridge. For this illustration, I have cut it after 4 hours after preparation, it is still a bit soft and I have decided to coat it with eggs before shallow frying. 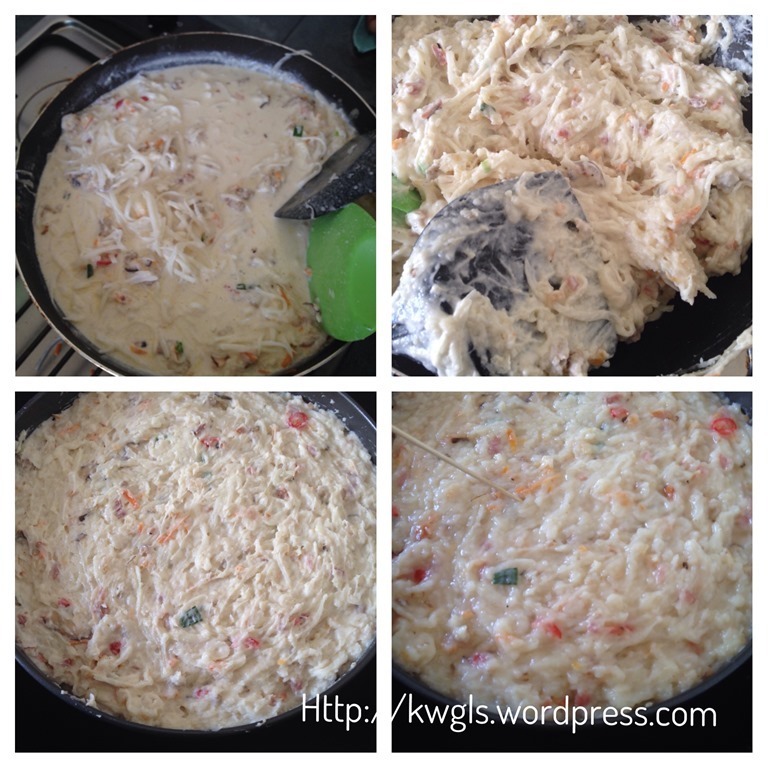 It will give an extra aroma and also facilitate the pan frying. 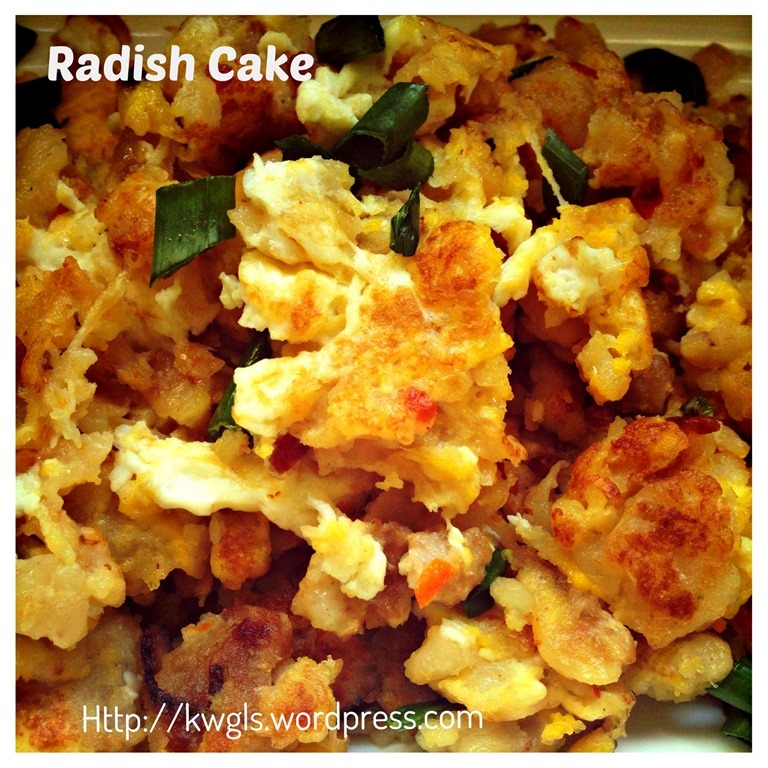 Crack some eggs, coat the radish cake in the egg mixture. Shallow pan fry until the eggs are set. Drained the oil and serve it with chilli sauce or sambal belachan. 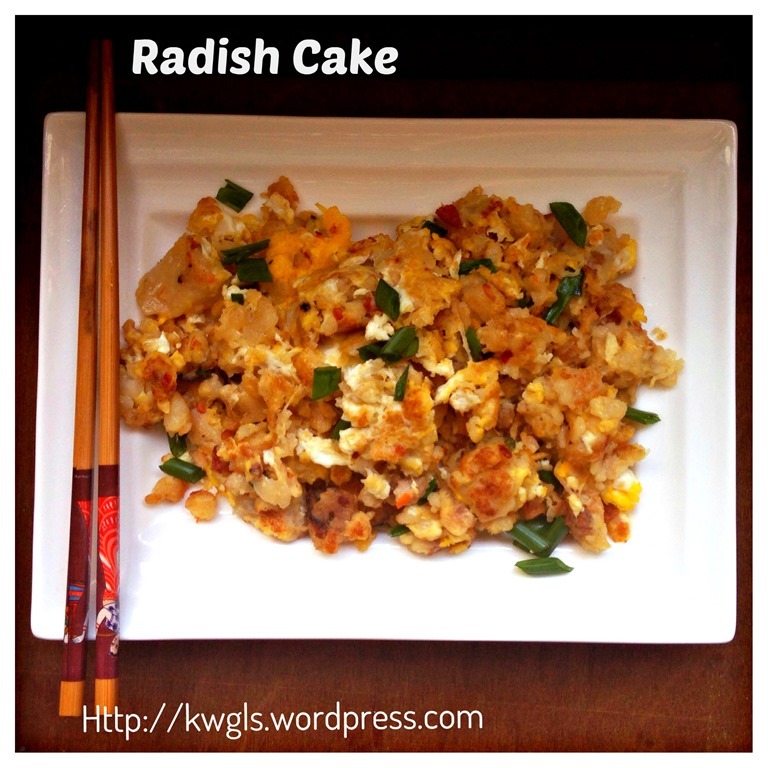 As an alternative, you can just stir fry a piece of carrot cake with some cooking oil, make it into smaller pieces, add in some dried radish (菜脯)，crack some eggs, stir fried until the eggs is set. Add in some chopped spring onions and it will become a hawker style of stir fried radish cake. Do give it a try. 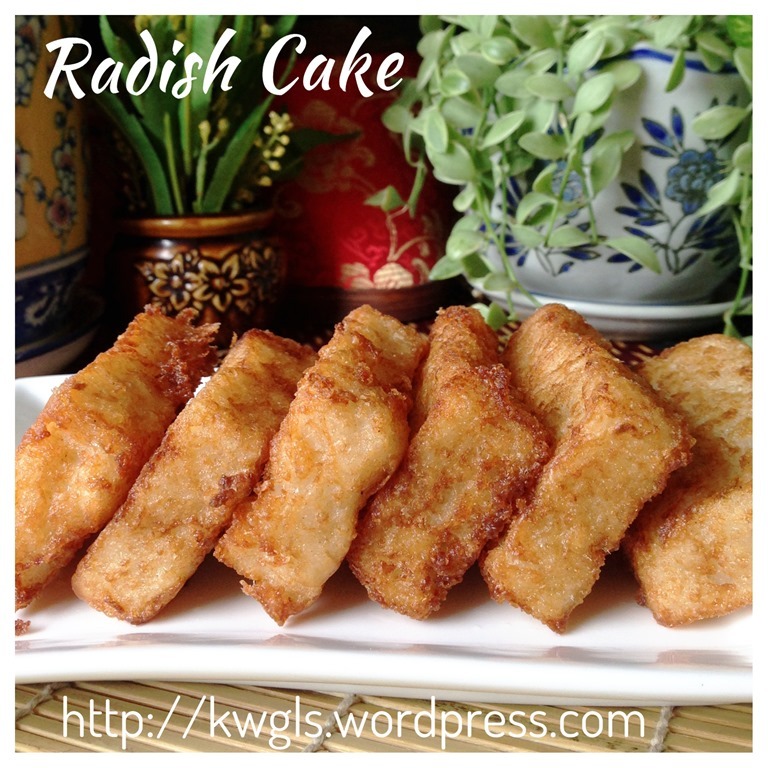 You will be surprised how the pork jerky complement the taste of the radish cake. Of course, don’t specially go and buy pork jerky for the dish, almost all the side ingredients are optional and substitutable. What I am showing is the method of preparation and what is most important is the type of flour used and the ratio of water to flour.. All others is up to individual readers to explore and come out one that suit your family’s taste buds. 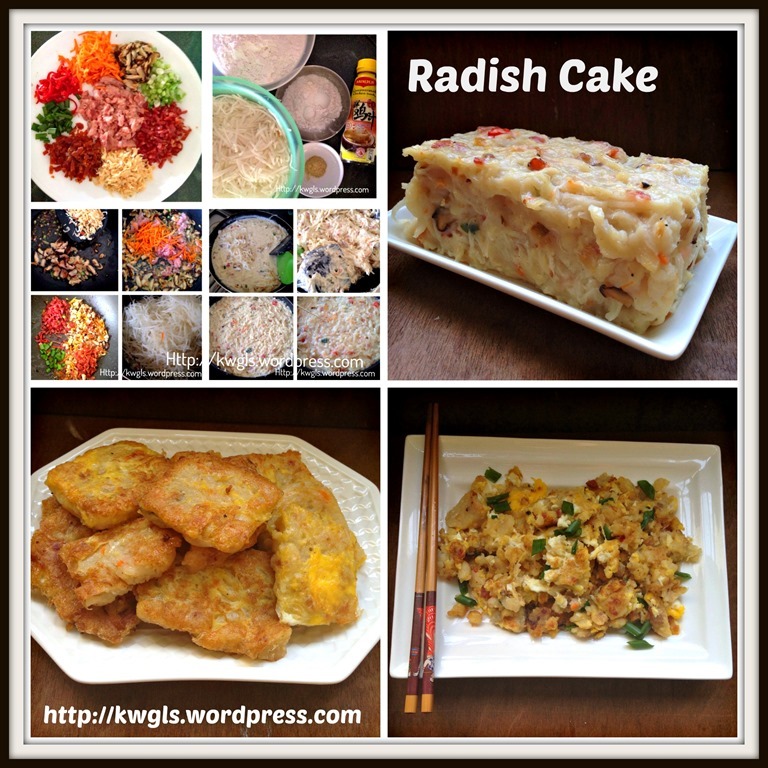 This entry was posted in Chinese and Asian Cakes and Snacks, Chinese New Year 2014, Food Preparation Series and tagged 8, carrot cake, daikon cake, 萝卜糕， hong kong dim sum radish cake, GUAI SHU SHU, Guaishushu, kenneth goh, Lo bak Ko, postaday, Radish cake, turnip cake. Bookmark the permalink. Ken, I have never seen anything like this. I think I would really like it. Thanks for sharing this with us at the Four Seasons Blog Hop. I am sharing this. Thx Kenneth for sharing the recipe. Just tired it and your recipe is easy to follow except for the cup measurements of the meat, shrimp, sausages (quite weird to measure 1/8 or 1/4 cup of them so I end up just rough estimated haha). I love the outcome but my husband commented too “flourly”. May I know if I reduce flour amount, how will it affect the cake? Also, roughly how much is safe to reduce in my next trial? Thx soooo much for sharing again! can advice with flour reduced, what is the likely changes in texture to the cake? Much softer and more difficult to set. Hi Kenneth, I’ve tried various finds on the web but still fail to get mine right. 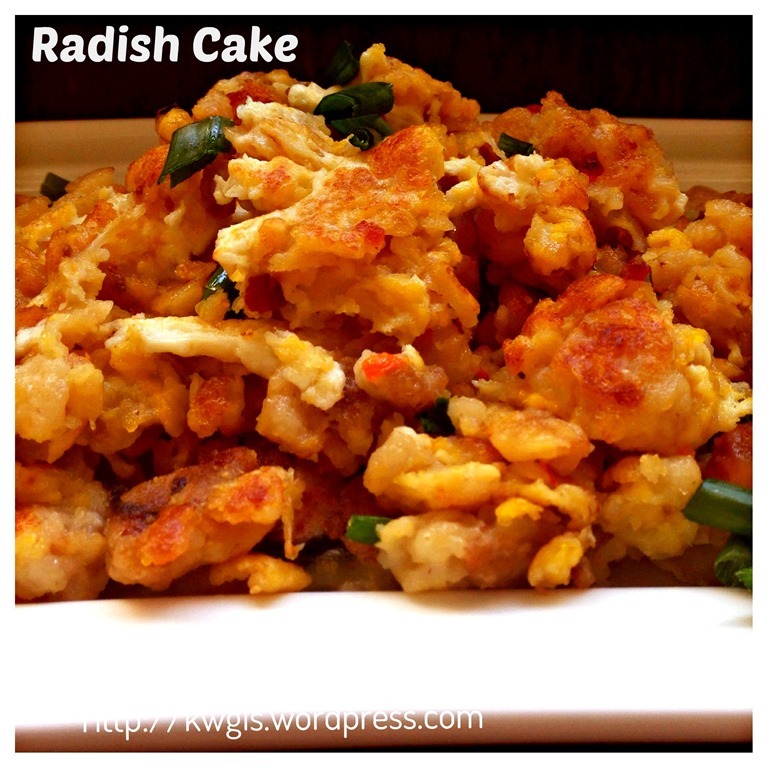 May I ask the sequence for just a plain radish cake, minus all ingredients of sausages and vegetables? 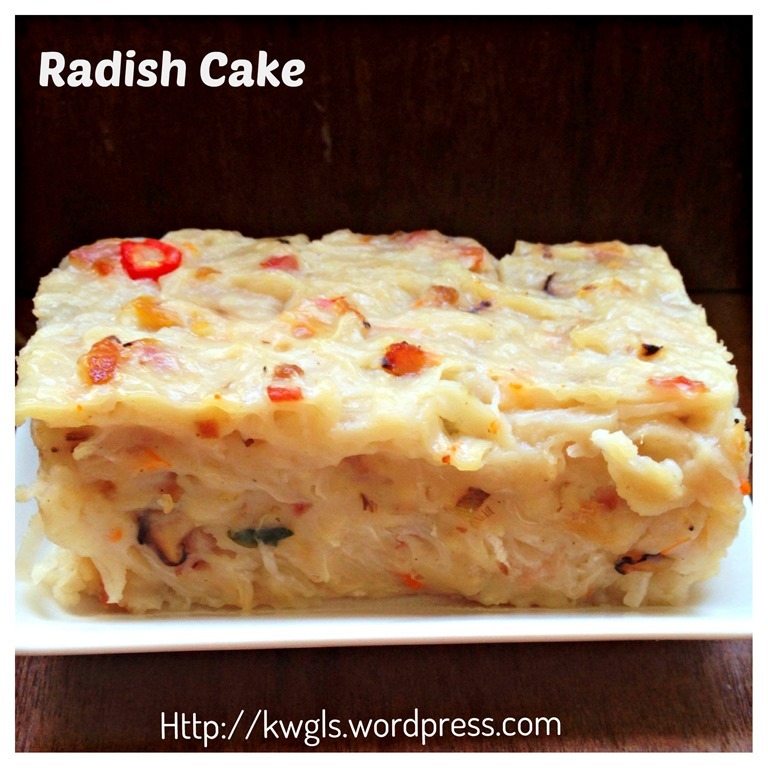 Eg: Do I need to cook the radish? Any seasoning required? Many thanks!